It is a cute book with a positive message. 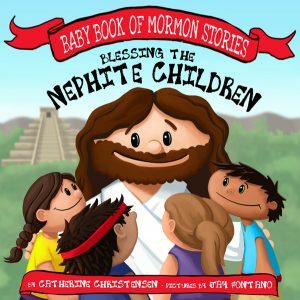 It helps little ones learn the story of the Savior visiting the Americas after his resurrection from the dead. It is good for even the smallest of children to know of His love and mercy towards these ancient people, especially how He took the time to help each and every person who was sick, and how He loved everyone no matter what they looked like. My only problem with the book was the first page. It isn’t doctrinally accurate. I even read all the chapters from the time Samuel the Lamanite prophesied until after Christ died. I could find nothing about the Nephites believing Christ would visit them after His death. They knew he would would be born and die, and that He would be their Savior, but they didn’t know they would ever physically see Him. 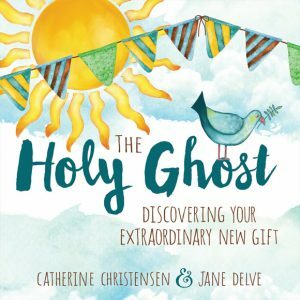 The second book is called ‘The Holy Ghost: Discovering Your Extraordinary New Gift,’ and is also by Jane Delve. There are also icons throughout the book with extra nuggets of information, like the “Expert Icon,” which includes a quote from a prophet or general authority. This book does an excellent job of explaining who the Holy Ghost is and what He does for us, how the Gift of the Holy Ghost is different from the Power of the Holy Ghost, how we can keep our baptismal covenants, how to use our new gift (such as through prayer), and so much more. I love how scripture stories are woven into each teaching moment. I am very impressed by this incredibly thorough and fun book. It would be a perfect gift for a child getting baptized soon (or who has just gotten baptized).